For a Debater, knowledge is power. No matter how eloquent or passionate a speech may be, it will ultimately be toothless without key information and evidence to support the argumentation. Thus, Debaters will have to be well-read and well-researched if they are to improve in the debating arena. Diligent research will provide not only the evidence for cases but also generate the argumentation which can be used in debates. Open-ended research refers to Debaters acquiring more information in general without a specific set of areas or topics in mind. This type of research is especially valuable for keeping up to date on current affairs and also on new areas of research. Open-ended research is usually achieved by altering reading, listening and viewing habits to include more current affairs and educational media. This could be as simple as having access to the BBC and CNN and reading periodicals such as the Economist on a regular basis. During open-ended research, Debaters should try to develop a critical appreciation of facts. Instead of just assimilating the information, Debaters should consider which motions could be addressed by the information, if arguments could be developed from the information and if strong examples could be extracted for further use. Focused research refers to the active acquisition of information about a specific area. Debaters should seek to know something of everything and everything of something. This means that they should have a good understanding of most issues to be able to handle themselves in different debates but be subject matter experts in one or two fields. Before proceeding to conduct focused research, Debaters should attempt to list the areas in which they had good background knowledge and which areas were relatively unknown. They should then fill the gaps in by doing more research on those missing areas. Otherwise, these Debaters may find themselves unable to function in a debate because they simply do not know enough about the topic. Debaters should also try to specialise and research in-depth on some areas. This is ideally done in consultation with teammates so that the areas of specialization will not overlap. Since they will be spending a significant amount of time researching these areas, Debaters should focus on areas they are already passionate about. If possible, Debaters should try to become subject matter experts in a number of areas. 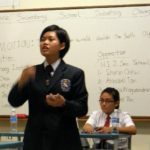 For instance, in a debate team or a debate club, each member could be instructed to be subject matter experts on a different country, a different international organization, a different technology, etc. 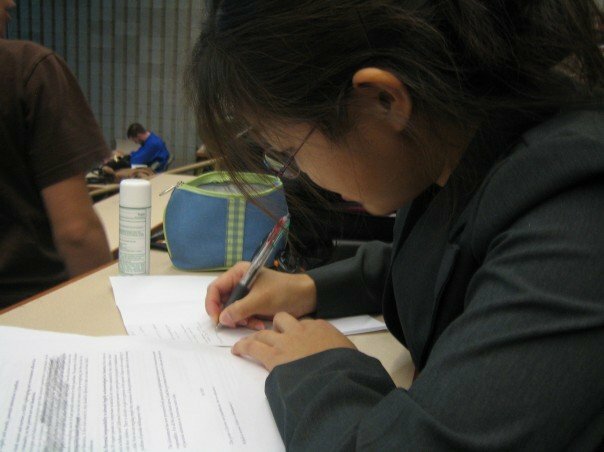 Debaters should also do focused research on areas which will help with their style. This means that they can look up funny jokes, interesting anecdotes and memorable quotations which could be used again in future debates. The research gathered is of limited utility if it remains only in the minds of each Debaters. Thus, Debaters should ensure that the research gathered is shared and utilized in debates as much as possible. Debaters should share the research they had unearthed as much as possible with their teammates. The advent of the internet makes this an easy task, since the speakers may use mailing lists, blogs or online document hosting sites to share their findings. 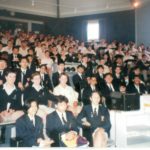 When sharing the information, Debaters should take note that the readers may not be subject matter experts and may thus need some explanation for the researched material. Debaters should also create reference sheets to be put into their own research files. These reference sheets may list anything from key facts and examples to jokes and witty quotations. Even if tournaments do not allow these sheets to be brought into the preparation and/or the debate, the Debaters will still have handy reference material for training sessions and other occasions. This also applies to key documentation that Debaters often make reference to, such as the American Bill of Rights and the UN Declaration of Human Rights. These types of documents should be carried as reference into preparation or the debate floor if allowed.